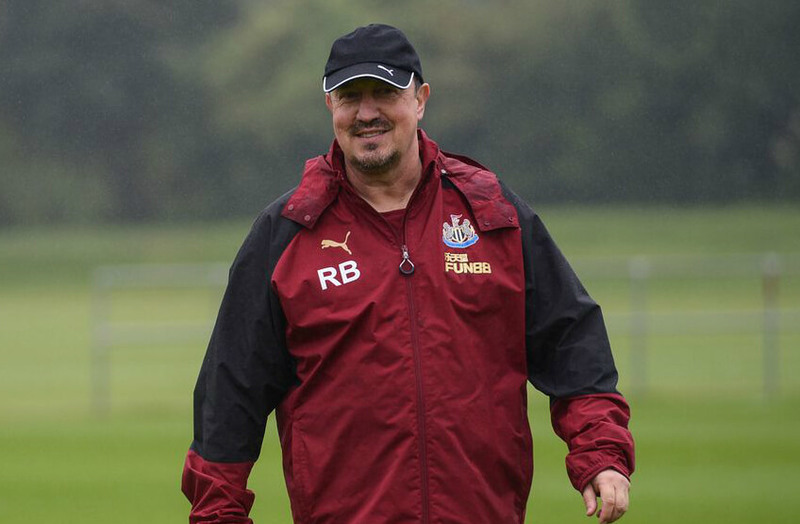 The Newcastle United Blog | » Fans Talk About Rafa’s Future – Just Let Him Get On With It! Fans cannot quite understand the Newcastle owner Mike Ashley. Rafa is the perfect manager for Newcastle and he wants to fully control the transfer money he gets from the owner. Rafa wants to be able to buy who he wants – and spend the money as he sees fit. Why wouldn’t Ashley allow him to do that? The manager also wants improvements made to the Youth Academy and wants an overhaul of the Benton Training grounds. Remember the world-class training facility we were promised way back in November 2013? Since Rafa is one of the best managers in the world and has shown that over the last two seasons, why wouldn’t Mike Ashley trust him and fully back him financially? That’s Mike Ashley for you – and he seems to be dragging his feet yet again – as Rafa tries to drag Newcastle United into the modern world of football. Here are some comments from Newcastle fans this wonderful Monday morning as we bask in the glory of 10th place in the Premier League. Happy Monday #nufc! Here’s your centre page spread from Spain’s AS sports paper!!! What a picture… what a day! Just Rafa thanking the grounds staff after yesterday’s game. On the following tweet, Rafa would say – how did we let that goal in against Tottenham? Who Was Newcastle's Man Of The Match Against Chelsea? Ashley has to hand £50million+ to Rafa and stop saying he can have what ever the club generates as that would be a figure after Ashley has manipulated and could be anything from 0 to peanuts. @ Mr Tuff that has to be the most pointless post ever made on this site. we can all go back in history and find silly statements made by some posters, you have made loads in the past and apparently you are still doing it. Get ready to be linked with him all window. Ashley keeps sayin that he will give Rafa what the club generates, how about giving him 100 m out of his sports direct company for payment for the 11 years free advertising. I’m not keen on Ahley’s statement – it attempts to put the ball back in Rafa’s court “I want him to stay” suggests he’s backing him publicly for PR reasons, but without necessarily guaranteeing that he’ll provide the conditions for success that Rafa is wanting in private. Beware of man who speaks with forked tongue. What a result yesterday, though – I was always confident of a result against that over-paid shower. The performance, however, beat all expectations. Incremental improvements are what is required now. We will have to start investing some serious money on individuals to upgrade in certain positions, but evolution rather than revolution is key here. Would Rafa accept a bit of player budget sacrificed to pay for improvements to scouting , training ground etc? Say for example sell Mbemba and Colback and use that money for improvements? So thats just basing it on players we are constantly linked with and what the going rate seems to be for them. With these statements it’s about what isn’t said . Classic PR and written by bishop. What we wanted to hear was “I will be making sure Rafa gets what he needs to realise his ambitions for this club “… But that would have left him less room to wiggle . It’s getting a bit like the queens speech tradition on Christmas Day this …last day of every season we wait the yearly broadcast from the shire rook bunker . How good was it to see Dwight Gayle get a goal before the end of the season? If anyone deserved it, he did. He’s worked his left knacker off in recent games for no reward, I was chuffed to bits when he nodded that goal in. there are dozens of readers. one fine day, yeah it feels like he’s trying to curry favour with the fans by reflecting their own opinions and concerns (Champo squad term offensive for eg). It just strikes me as false. I’m not sure how he can go about repairing his relationship with the fans, but statements like that will not do it. Ed i don’t understand what you mean when you are denigrating our top flight centre of sporting excellence at the academy. We have a state of the art Sibcas site hut with hot water and soap, an ice dispenser fridge and two large capacity (none of your domestic rubbish bins no no no) wheelie bins for cutting edge cold conditioning treatments. The generator is on order as we type so that this coming winter the centre can be open after 3:45pm. I would imagine most supporters can see through Ashley’s BS. Jib, surely the worst thing for people to read is the match day blog – it’s embarrassing the tripe spouted on there at times. ilovetoon8788 I’m looking at you…. On another note had my Chelsea supporting brother in law over yesterday as its Mother’s Day in Aus . Was full of it pre game yet today claimed a weekend (and a moan about conte not been backed for new signings in the summer)side with an eye on the cup final lol.. Hazard ,Giroud Kante etc … . I mentioned well at least courtois got a good work out . I hope they keep conte next year .if they end up in a relegation battle that side reminded me of us in 2009 ,absolutely not an ounce of fight in them. “My future? I’ve heard so much talk, but I haven’t spoken to De Laurentiis: I have a contract with Newcastle, I’m talking to them about my renewal. “They made me some offers to stay here for a few more years, plus I have to manage my family: if I decided to go to Newcastle and stay there, even in the Championship, it’s also because of my family. Only thing that concerns me is with Chelsea now looking at all those extra games with Europa league will it mean a lot less chances of them loaning out the promising kids and also our chance of getting Kennedy here permanently . Silly statements would include Mr Tubbs giving Rafa £100 million from Sports Direct. Aint’t going to happen – in my opinion. Folks however may have a differening view and advocate that it should/could happen. Up to the individual what they want to believe. Now, correct me if I’m wrong, but don’t the payments come in staggered, ie we didn’t get £130m in our bank account this morning? So that would mean, once the payments have been received, Rafa is allowed to spend it, not in advance and including wages and bonus etc.? I reckon that’s what he means, so expect £40-50 net this summer, and £20 or so net at Christmas. Garth Crooks has chosen Rafa as Manager for his Team of the Season. I’m one of those fans who apparently can’t see through Ashley’s bs, and I don’t consider myself particularly gullible, although there was that house I worked 15 solid years to pay for that my first wife ended up with lock, stock and barrel, mmmm, but I digress, Rafa will get his backing in the transfer market, as Ashley has little option and historically the money has been put back in, if in a somewhat tardy and unsatisfactory manner, but now we have Rafa and that changes everything. Do 100% agree though that he should have been charging SD for all that advertising from the year dot, although he clearly doesn’t agree. That and failing to hire a manager of Rafa’s calibre to run the show 11 years ago are his greatest misdemeanors by far. Renaming the ground SD Arena wasn’t too schmick either, but Rafa will be backed significantly this window. You have my personal guarantee. I think you’re right on with what to expect, expenditure wise, but I’m thinking a bit more pessimistically. I’m expecting the net to be lower, in the range of 25-35M, and outlay over that may exceed 25, but not much more. I think a further outlay of 15 or less over the winter transfer window is more likely. Someone mentioned Bas Dost at 20M…I don’t think he’ll leave for any less than 35. Granted, the context was just using people we’re normally linked to, not that they think we’ll spring for him. Wages can’t be being taken out of the transfer pot upon purchase otherwise our wage bill should be zero as it was previously put to one side (contract extensions excluded). I think Pardew was just explaining wages have a cap also. Well the season has ended so let’s talk transfers. The Shields Gazette are up and running with this one. Jorgensen won’t be happy. Newcastle United have again been linked with a move for Galatasaray winger Garry Rodrigues. The Magpies have long been credited with an interest in the attacker, who has seen his career take off in Turkey this season. The Dutch-born Cape Verde player has scored nine goals this season and contributed 11 assists as Gala claimed the Super Lig title. The 27-year-old cost Galatasaray just £3.5million in January 2017, having struggled to make an impact at the likes of Spanish side Elche and Greek outfit PAOK. Reports in Turkey claim that Rafa Benitez is preparing to make a 23 million Euros bid (£20million) for the player as he looks to boost his attacking options. West Ham were reported elsewhere prepared to pay £10m. On a separate note I see that some papers noted that Hazard and Azpilicueta were the only Chelsea players who went over to the Chelsea fans to apologise at the end of the game. Fair play to them – but my impression was that only about 3 Chelsea fans had stayed till the end! 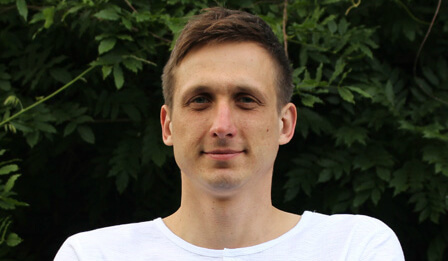 Lesh from earlier……… The majority of posters on here are only interested in Ashley’s greedy way of running his life and businesses if it relates to and affects our football club. If he leaves Rafa to control the spending on transfers ( once the budget has been established) and to manage without interference , then whilst he is still here that is as much as we are going to get from him. In my opinion the bone of contention is more than likely Ashley’s adamance that all transfers must be paid up front so as not to put the club in debt. This is obviously putting us at a disadvantage to other clubs who buy expensive players and pay in instalments but no doubt brought on by his shock and horror to have found out how much the club owed on unpaid transfer fees when he took over. You seem to use Ashley as an example of a fat greedy capitalist in your quest to promote your far left political agenda by linking him to the likes of Donald Trump etc. at every opportunity. You are clearly very passionate about your political views but this is not the forum to pursue that agenda. There must be a blog frequented by the far left, dreadlocked unwashed vegans where you will be warmly received. Sweaty – stop sh#t stirring on the blog and go talk politics with your far right pals…..